Designed as a wall decoration . This cottonwood wizard is a fun gift idea for the holidays. 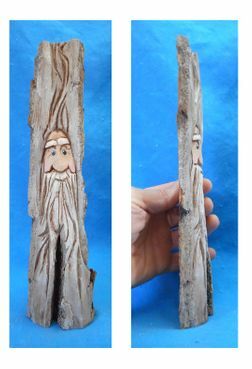 Hand carved from cottonwood wizard is that perfect woodcarving that will put a smile on any collectors face.